TULSA, Okla. - Major League Fishing has announced Dayton, Tennessee is the fourth destination of the 2019 MLF Bass Pro Tour schedule, with its famed big bass fishery Chickamauga Lake ready to play a significant role in who wins the event, April 9 - 14. 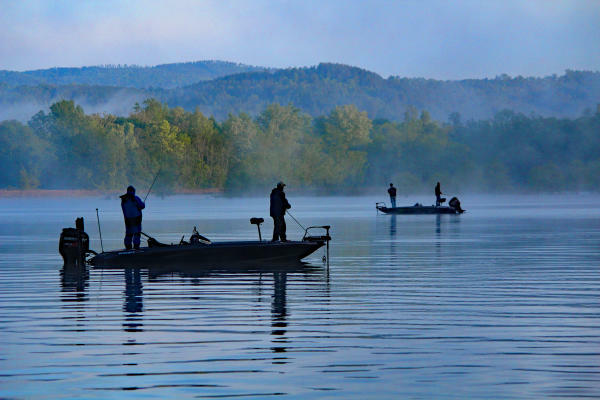 The Rhea County region, anchored by county seat Dayton and including much of Chickamauga and Watts Bar lakes on the Tennessee River, has been a proud and prominent supporter of fishing and its economic impact to the area for several years. "We are thrilled to have this opportunity to bring the MLF Bass Pro Tour to our backyard in its inaugural season," said Dennis Tumlin, Executive Director of Economic Development for Rhea County and Director of Dayton's "Fish Dayton" brand. "It's a great matching of our exceptional bass fishing to the sport's most exciting competition in MLF's catch, weigh and immediate-release format." "Rhea County is proud to showcase our world-class fishery during one of the prime times of the season for giant double-digit bass. If you've never tried our legendary fisheries firsthand, I encourage you to make plans now to come and join in on the festivities and see if you can catch your own personal best!," commented Rhea County Mayor, George Thacker. "It's one thing to have Toho, Conroe and the untapped fisheries like Falls, Jordan and Harris to start the season, but to have 'The Chick' in the cleanup position makes this early season lineup amazing," said Michael Mulone, MLF Senior Director of Events and Partnerships, in referring to the tour's season openers in Florida, Texas and North Carolina prior to Tennessee. "You're likely to see some big-time home runs coming from the best hammers in all of fishing at this Dayton stop." "Just this past weekend, we had a 14.2-pounder caught and released, and the lake has really been fishing well for the past several years. We invite everyone to come participate in the activities throughout the competition days to witness firsthand our fabulous fishing and Southern hospitality. Please put this Dayton visit on your calendars now," Tumlin added. As in all Bass Pro Tour events, the Tennessee River venue will feature seven hours of daily live stream coverage during each competition day, with free access to the real-time broadcast found at www.majorleaguefishing.com. Also, the Dayton event will be developed into a two-hour television show that will air on Discovery Channel in the fourth quarter of 2019. It will repeat on Sportsman Channel in first and second quarters of 2020. Developed through a joint effort between Outdoor Channel and the PBT anglers in 2011, Major League Fishing brings the high-intensity sport of competitive bass fishing into America's living rooms in the form of riveting two-hour TV episodes. 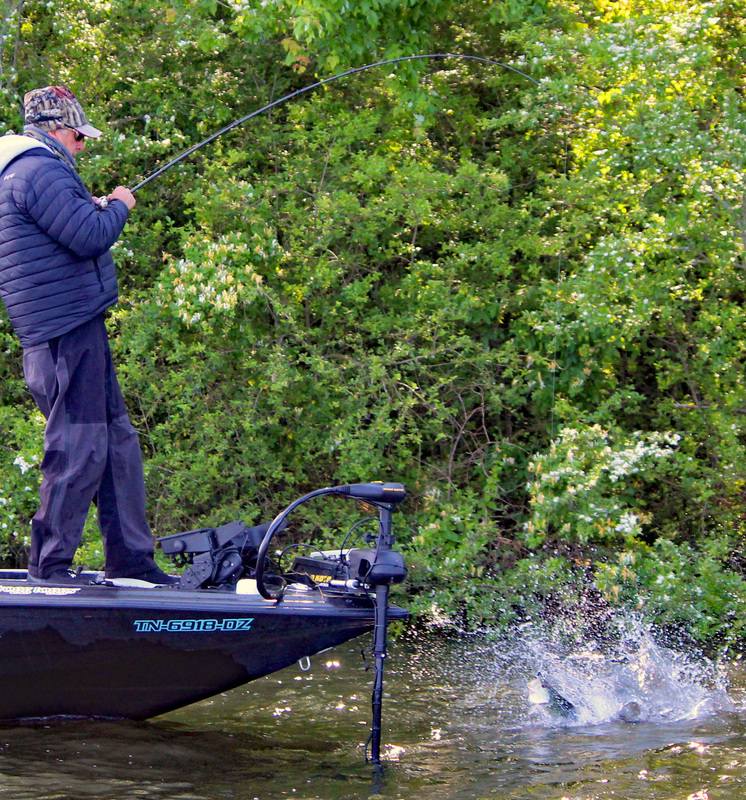 World-class anglers are filmed over the course of a six-day event. The show captures their efforts as they utilize a demanding format that allows them to weigh all the "scorable bass" they catch. Unlike other competitive fishing events, live leaderboards in the boats allow anglers to know their standings at all times. For more information about the game, visit www.majorleaguefishing.com and follow Major League Fishing on Twitter, Instagram and Facebook. You can catch all current and past episodes of Major League Fishing on #MyOutdoorTV, the world's leading outdoor television global, streaming service provider. Also, for more information about MLF anglers, see Game & Fish magazine, the official publication of MLF.